Rachel founded Winnipeg’s Contemporary Dancers in 1964, Canada’s first professional modern dance company. Rachel served as the company’s Artistic Director, resident choreographer, and teacher for over 20 years. Her work was instrumental in the development of modern dance in Canada and by 1970 she had brought Winnipeg’s Contemporary Dancers to national recognition. 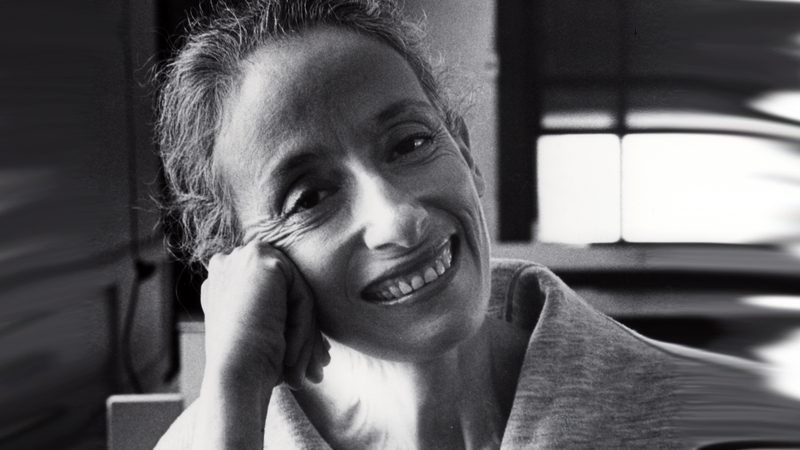 During her tenure as Artistic Director, Rachel commissioned and performed works by well-known American choreographers including Cliff Keuter, Sophie Maslow, Lynn Taylor Corbett, Dan Wagoner and James Waring. Under Rachel’s direction, the company also became an important commissioner of new Canadian choreographers including Stephanie Ballard, Anna Blewchamp, David Earle, Karen Jamieson, Judith Marcuse, Jennifer Mascall, Gaile Petursson-Hiley, Linda Rabin, Paula Ravitz, Tedd Robinson, and Norbert Vesak. Rachel resigned from Winnipeg’s Contemporary Dancers as Artistic Director in 1983, but remained closely tied to the company for the remainder of her life, while setting works on other companies and dance artists throughout Canada. Focusing primarily on her choreographic development from the early 1980s onward, Rachel created a long series of challenging, episodic works including Mouvement, Edgelit, Toward Light, Sunstorm, Flowering, and many others. Rachel’s final piece, Momentum, a trio for the School of Contemporary Dancers’ graduating students, premiered in May 2012. Rachel’s outstanding achievements have been honoured through numerous accolades and awards. Rachel became a Member of the Order of Canada in 1997 in recognition of the significance of her leadership in establishing and developing modern dance across Canada. She was awarded the 1995 Jean A. Chalmers National Dance Award for Creativity in Dance, the 2000 Canada Council Jacqueline Lemieux Prize, and the 2001 Manitoba Arts Council Great-West Life Lifetime Achievement Award. In her honour, Winnipeg’s Contemporary Dancers renamed its performing venue The Rachel Browne Theatre in 2008. Rachel’s biography, Dancing Toward the Light, by acclaimed dance artist and writer Carol Anderson, was published in 1999. The feature documentary, A GOOD MADNESS – The Dance of Rachel Browne by filmmaker Danielle Sturk was released in the Fall of 2014 (http://agoodmadness.com).